The boots really were the finishing touch to my son's pirate costume. They are of decent quality, although I feel that the elastic strap that slides over the bottom of the child's real shoes/boots will break easily. I was as careful as possible while putting these on my son. 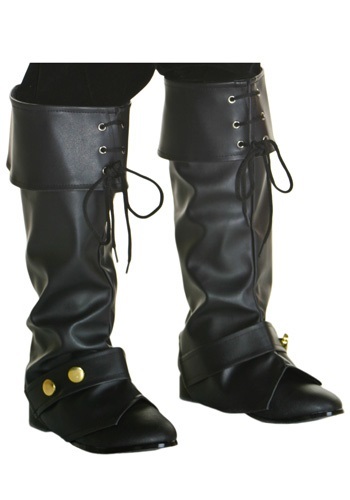 However, the main reason I gave these boots three stars is that the top of the boots are not adjustable. While they do have ties at the top, they are for looks only. The boots do not tighten at the top and my 8 year-old son was hiking them up all night long...which proved very annoying for both of us. A child would have to have fairly thick calves; in order for the boots to stay up without tugging them up every few minutes.